[In early November of 2014, San Antonio resident and neighbor, Germán González, joined us at our home office. 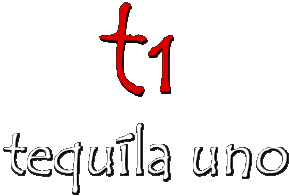 That evening, he brought his full array of Tequila Uno (T1)–Ultra Fino, Selecto, Excepcional, Tequila Estelar, along with the much acclaimed ultra-aged Tears of Llorona. What strikes you first about Germán González is his intense modesty when he discusses his vast accomplishments. Secondly, it’s realizing the level of genius he possesses as a Master Distiller. Thirdly, you are awed by the depth of his artistry. Taking his branded Riedel Ouverture tequila glass held at the stem, Germán places it over his heart and says, “salúd, from the heart.” He then reaches out to each of us and, instead of touching at the rim of the fragile vessels, he turns his glass almost sideways and boldly tags the bowls sounding a lyrical crystal clang. Afterwards, he lovingly looks at the platinum liquid inside his stemmed glass and says, “This tequila is amazing,” as if surprised that it turned out so well. Coming from a family that played an integral part in both Mexico’s and Tequila’s sweeping history [you can read more about his family history here], Germán González is at once inspired by his past and firmly focused on his future. A gentleman farmer by trade and a romantic at heart, Germán literally learned his profession from the ground up under the watchful eye of his father, Guillermo, a lawyer and politician. At eighteen, Germán permanently moved to the family ranchos in Tamaulipas by himself instead of attending university. For several years, he spent intensive weekends learning about the land from Don Guillermo, growing agaves, chiles, corn, soybeans and raising cattle. He felt privileged and grateful to have his father as his instructor and mentor. Don Guillermo also purposely kept him away from the La Gonzaleña distillery until he felt Germán was ready for the responsibility. After several years of piloting Chinaco to unprecedented heights, creative differences with his older brothers caused Germán to seek a new distillery from where he could challenge himself to distill even greater tequila. 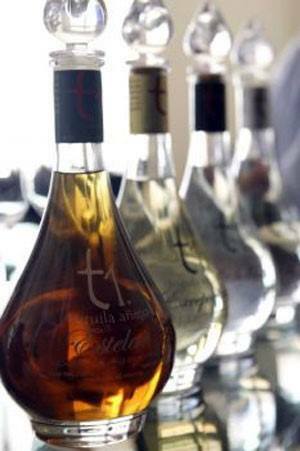 Luckily, his lifelong friend and owner of La Tequileña (NOM 1146) Enrique Fonseca, himself a celebrated tequilero, most recently with his Fuenteseca brand, literally gave him the keys to his distillery and allowed Germán to pursue his dream of producing the ultimate expressions of tequila that have ever been realized. At the same time, Germán uprooted his family and moved to San Antonio, Texas in 2007 to learn about the liquor distribution system and also to study the fickle American palate. He officially launched Tequila Uno in 2009. Used scotch whisky barrels are the secret to capturing just the right balance when resting tequila. He deliberately employs the used barrels to take only the rough edges off of the Selecto when resting for his Excepcional. Germán believes that this practice results in a more traditional reposado. “It’s how reposados should taste–not like añejos,” Germán declares. Germán believes the maturity of blue agave has nothing to do with the plant’s brix (sugar content) or age. He judges the maturity of agave by its look and feel. He prefers using agave from Atotonilco, in the highlands of Jalisco, since he determined that they produce a close flavor profile to agave from Tamaulipas, and thus, compliment each other. He had blended highlands agave with those from Tamaulipas when in charge of Chinaco during its second resurgence. At that time, La Gonzaleña didn’t have enough agave in reserve as it had in its heyday. Behaving more like a painter or chef–hands on, using all of his senses–Germán González has in mind exactly what he wants Tequila Uno and Tears of Llorona to taste like and what effect he wants to attain with each expression. He knows that flavor profile exists within the plant and the resulting juice, just like Michaelangelo knew that inside each slab of marble was a statue waiting to be released. Germán distills Tequila Uno to set the flavors free! Unless prompted, Germán never talks about the numbers, the chemistry or science of distillation like famed Master Distillers Carlos Camarena (Tapatío), Marko Karakasevic (Charbay), or Melkon Khosrovian (Ixa Tequila by Greenbar) have been known to do. In fact, those were Germán’s worst subjects in high school. Much like a mezcalero (mezcal distiller) does when producing mezcal, he uses his senses to tell him what alcohol by volume (ABV) his tequila should have to achieve the desired flavor and aroma. The numbers then become minor details in the entire scope of things. He allows the formation and density of the lingering bubbles (perlas) in his glass to be his signposts that he has succeeded. Germán asserts that alcohol in tequila is not just about getting drunk. He describes it as a necessary element in any tequila’s flavor profile. In fact, he contends that mezcals, by and large, should be distilled at 45% ABV or higher to achieve its balance and to acquire its unique flavor profiles. The full line of T1. The novice just beginning to explore tequila (Ultra Fino), and the collector or connoisseur (Selecto, Excepcional, Estelar) with more discerning tastes. We encountered this technique at our tasting of Roca Patrón. González has perfected this method into his own signature art form. Germán González shares his global desires for T1. A spirit worthy of the attention and appreciation of the masses throughout the world. Whatever Germán’s next composition, be assured that it, too, will be a work of art, from his heart to yours.